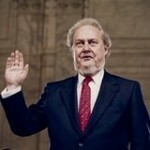 Judge Robert Bork died on December 19, 2012 and you may recall he was nominated for the Supreme Court by President Ronald Reagan. With his passing, America lost a very good man. From the moment his nomination became public, leftist (Marxist) groups led by Senator’s Ted Kennedy, Joe Biden and Patrick Leahey unleashed attacks to prevent him from being confirmed. Keep that in mind now that Vice-President Joe Biden is chairing the hastily formed gun control task force. I also encourage you to listen to Mark Levin’s comments on how Biden and others viciously treated Judge Bork during his confirmation hearings. On January 22 The Obama Administration is set to sell military hardware (tanks and planes) to Egypt, which is now controlled by the Muslim Brotherhood. Let’s not forgot that Egypt’s President has no love for Israel. It’s no secret the MB wants to destroy Israel (and the West) in an effort to impose Islam on the rest of the world. Next, write your congressman (or congresswoman) and two US senators asking them why they are selling arms to our enemies, while at the same time moving to disarm law-abiding Americans? Tell them you are against this and to stop the sale (if possible). By the way, if this goes through it cannot bode well for our nation’s security. With all the hub-bub over school shootings, no mention has been made as to what kind of harm radical Islamists are planning to do in US schools. Think this is far-fetched? 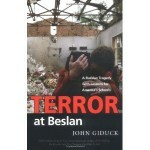 If you have a short memory, just remember what happened to kids and staff in Beslan, Russia a few years back. Many believe it was a ‘test run’ for an attack on American school. Remember; The Bill of Rights, especially the original Ten, are individual rights and tells us what government cannot do, while the Constitution tells government what they legally can do. Its real simple, you just have to educate yourself. This entry was posted on Monday, January 14th, 2013 at 6:24 am	and is filed under Political. You can follow any responses to this entry through the RSS 2.0 feed. You can leave a response, or trackback from your own site. Unfortunately ALL nations will oppose Israel even the United State. It had been for told. We are headed down a ptah of self-destruction. I encourage everyone to read the book Harbinger by Johnthan Cahn. It is amazingly alarming! Not only read The Harbinger, but view the documentary Isaiah 9:10. Steve, I am calling my Senators and Congressman today regarding the arms sale. Also praying for the request you sent out Sunday. Please keep up the good work!